Are you involved with raising the profile of a political party or local counsellor? Or are you organising a political protest march or environmental demonstration? Why not let CSDPrint look after your campaign print for you? We have an extensive range of low cost printed promotional graphics that will help you get your message across loud and clear. For example we produce Election Campaign boards on durable Correx, to any size that can be used as placards, attached to lampposts or used as kerbside signs – the large 8ft x 4ft Correx campaign boards really do make an impact! Our banners are also a great way to attract attention and are perfect for attaching to railings or fencing. All of CSDPrint’s banners are produced using high-grade PVC and come hemmed and eyeletted. We can also produce short-term or single use banner stands that are great for creating a backdrop on a platform behind your candidate at rallies and conferences. They are very light and easy to transport. 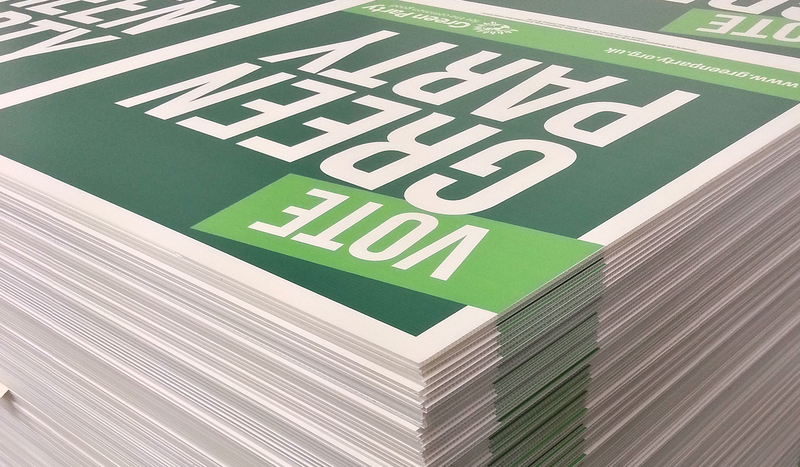 Here at CSDPrint we have over 30 years’ large format print experience and have printed campaign materials for all of the major political parties, for local council representatives from across the country and a huge range of protest organisers too. All of which have been extremely pleased with our quality and hassle-free service. So, why not vote for us! Give CSDPrint a call and we’ll look after all your campaign printing for you.